A senior care residence is not the usual place for infant baptisms, but the unique and beautiful home setting at Arthur’s Alta Vista made it the perfect location for one family’s baptism ceremony and celebration. Great-grandma Evelyn has lived at Arthur’s on Alta Vista for the past year. She and five other residents enjoy the attentive staff and quiet beauty of the home in Roseville, Minnesota, where they share kitchen, dining and living room space, and each client has their own private bedroom-bathroom suite. The rich staffing ratio of two staff for six residents makes it possible to receive a high level of care in a home-like setting. 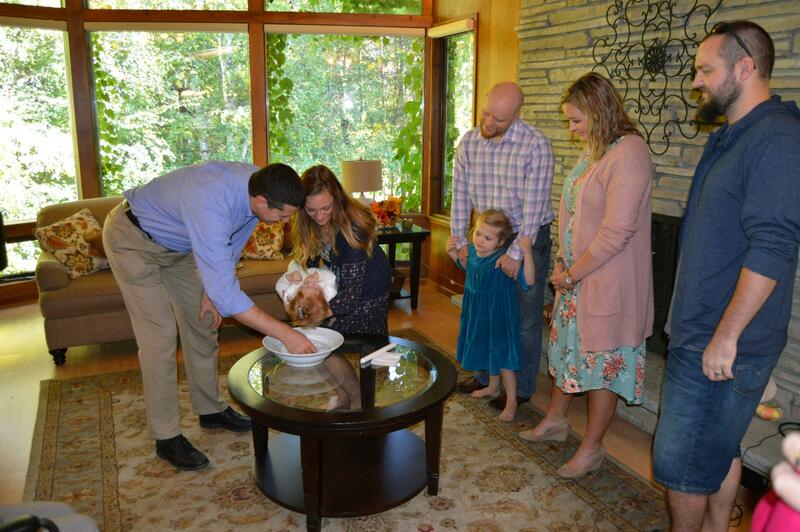 Evelyn’s health makes it difficult for her to get out and about, and yet her family didn’t want her to miss out on the baptism of her namesake, little miss Thea Evelyn. 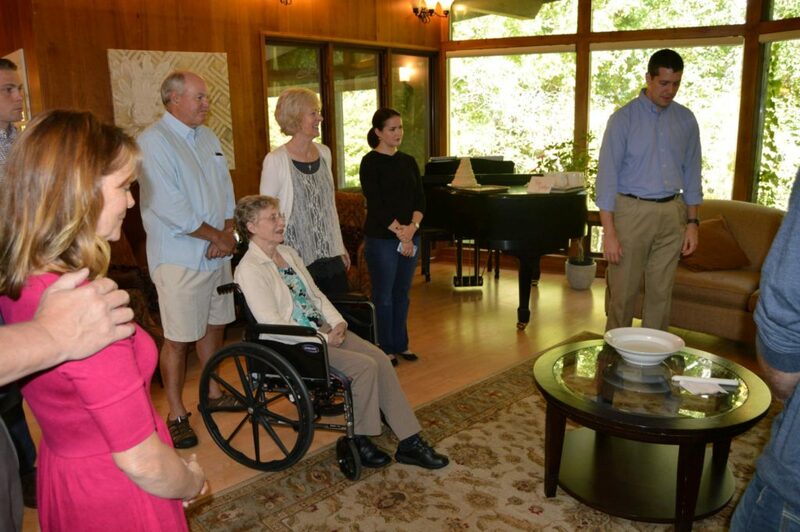 Evelyn’s family had come to appreciate the setting at Arthur’s in their visits with her. They knew they could trust the staff to not only provide for Evelyn’s increasing needs, but to actually host the baptism and family celebration right at Arthur’s. The staff at Arthur’s felt very honored to be asked to host the baptism right in the living room at Arthur’s-Alta Vista! It was a privilege to assist Evelyn to dress up for this event and facilitate her participation so that she could share this very special moment with her family. Following the ceremony, the staff at Arthur’s served refreshments for the family celebration. Going above and beyond to enhance the lives of the families we support in special events like this is thrilling for staff, and energizes our efforts to provide exceptional senior care. Evelyn’s family said it would be their honor to let us use their photos of this important family event–what a compliment that is in and of itself! The staff at Arthur’s look forward to more opportunities to help our clients share in these once-in-a-lifetime family events.